Living in New York City comes with its own set of unique challenges. Chief among them is finding affordable housing. According to recent market data, prices in Manhattan continue to rise making it even less affordable for many New Yorkers. Many NYers seek out long term and short term roommates to make ends meet, sometimes sharing as little as 750 square feet of space. These are the kinds of sacrifices residents often are willing to make to live in NYC. 1. You pay how much? The average one bedroom apartment in Manhattan runs in the $3,000 price range, according to NakedApartments.com. Living in the outer boroughs can run anywhere from $900 in Staten Island, the farthest borough from Manhattan, to $2,000 to live in a Brooklyn one-bedroom. 2. What you pay in rent, you could buy a house. While there is no denying real estate is an excellent investment, the median sale price for a home in all of NYC is upwards of $550,000 according to Zillow. And while less expensive homes can be found in far reaches of the outer boroughs, they are often in less desirable neighborhoods. As the average price for a home in NYC continues to rise, home ownership becomes less of an option for many New Yorkers. 3. Your apartment is so… small. 4. How many roommates do you have? Having roommates is not just a great way to reduce the cost of rent, it’s also a way of life in NYC. It’s not uncommon to see Craigslist listings for couch space available in a one bedroom apartment for the less permanent roommate scenario, or sublets available for longer stretches of time. Saving money isn’t only practical, it’s very intelligent. There’s no shame in having roommates in NYC. 5. Why don’t you move closer to the city? 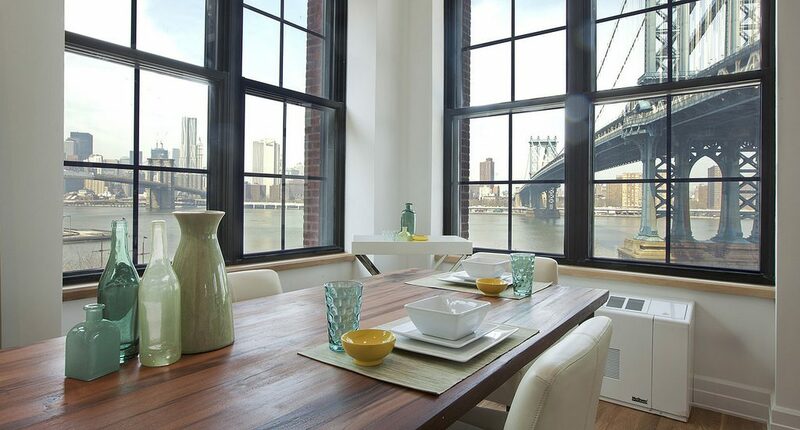 Living in Manhattan can be like a dream — close proximity to all the events, museums, restaurants you could ask for. That dream, however, will cost you. Average commute times in NYC are the longest nationwide, clocking in a little over 30 minutes, according to a study by real estate search portal Trulia. However, expect much longer commutes if you live in say Staten Island, where relying solely on mass transit it could take as long as two hours just to get to Midtown. 6. Is it safe here? The major crimes rate in NYC dropped to an all time historic low in the first quarter of 2016, with murder rates dropping an astounding 21 percent, 168 to date, compared to the same time last year. Since 2014, there has been a 6 percent decrease in incidents across all categories of major crimes. NYC is now one of the safest large cities in the US. 7. Oh, you live In Staten Island? That’s not NYC. While commuting from Staten Island to Manhattan can be laborious, for many the long rides are worth it. Staten Island is at once urban and suburban. It has 474,558 people living in its borders according to the 2015 census, making it the smallest of the five boroughs in terms of population, while also being the third largest borough in area. Staten Island can at once feel like part of NYC, and small town America. Strictly speaking, it IS one of the five boroughs, so if you live there, you live in NYC, no matter what anyone else says. 8. Can’t we just take a cab or an Uber? The NYC subway system is one of the largest in the world, with 468 stations and still growing. It is not only possible, but practical and economical, to use mass transit to traverse the city on a regular basis. Out of towners may be drawn into the picture of yellow cabs racing around Times Square or the convenience of “just calling an Uber,” but these modes of transportation in general will run you far more than a basic round trip on any of NYC’s trains or buses, or combination thereof. 9. Why do you live here? I could never live in NYC. City living, especially NYC living isn’t for everyone. And while some people fall in love with Central Park, the skyline, and Broadway, others plot their escape to the suburbs or some other less urban center. But for those in love, or even still in like with NYC, the phrase,”I could never live in NYC” comes off as bad as,”But it looks good on you.” Live where you’re most happy. It’s proven to be good for your health. 10. Can you get tickets to “Hamilton”?